And here are the latest ladies modeling this red-hot look. Click the photos for their original posts. I like that Sharon wore leopard print with her red pants. Kate of Make Do Style is doing my cross-legged post. Nice work, Kate. An artsy shot from the Blonde Side of Life. Emma from Daily Clothes Fix. 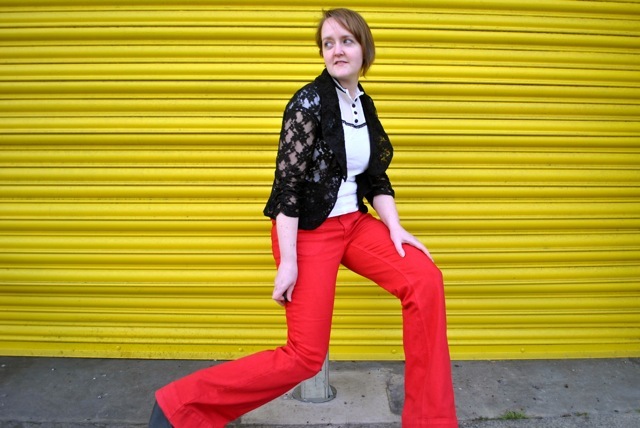 Gorgeous blogger That’s Not My Age is still pondering red jeans. I think she should go for them! She can check out Glitter Magpie’s roundup of red-legged celebs for inspiration. Meanwhile, Rowena from Rosie Pop helpfully pointed out some red latex. She knows how I feel about latex! UPDATED TO ADD: Vyque from Fasshonaburu found some skinny cropped red jeans on sale. Rihanna does a lot of red, I think. I love all this red! I’m liking red w/ leopard… a lot! The red legs series is fun. I don’t know about red jeans but I’m definitely getting some red tights! Also, those latex red boots I clicked through to look almost edible. 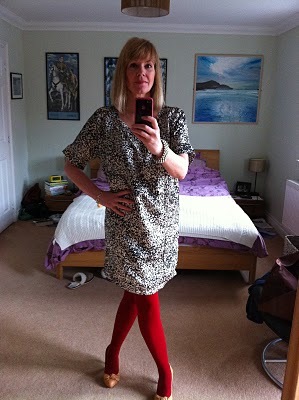 I am really wanting a pair of red tights now. I have been noticing lots of orange legs too in the last few weeks, which is good too. Thanks for sharing these looks, Wendy. The ladies look fantastic. I wore red legs today, I think it must be your influence. Have to say I loved it. I am so loving your red-legged series. I hope there’s more to come! Red will NEVER be dead!! LOVING THIS, SO HONORED TO BE FEATURED!!! The red legs are fabulous and inspiring! 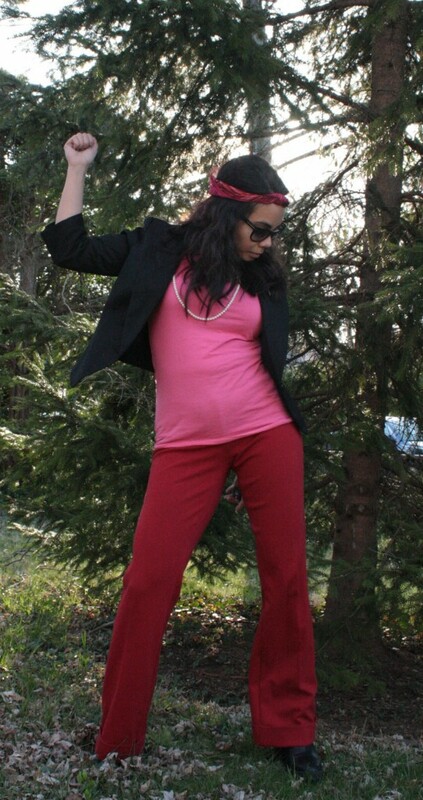 All these photos make me long to own a pair of red pants. maybe in the future I will find a pair I like.